The mystery of this story kept me turning the page, and the steamy banter made me fall in love with Mark and Charlie. Mark is a take charge, no holds barred kind of guy. I love his personality. He was strong, confident and determined without being over the top; ‘pounds his fists on his chest’ cave man style. He would give his life for anyone that he loves. Charlie is strong, feisty and as stubborn as the day is long, defying her feelings until she has no other choice but to admit she no longer wants to go through life alone. I enjoyed all the scenes with her mother; I imagine that is how most young, single and independent women feel about their meddling mothers. Defenseless what happens when stubborn meets determined. I really enjoyed the banter that Mark and Charlie displayed, it laced with sexual tension to the point that I was willing to jump into my kindle to help them remove each other’s clothes. The chemistry the had exploded when the bantering stopped. 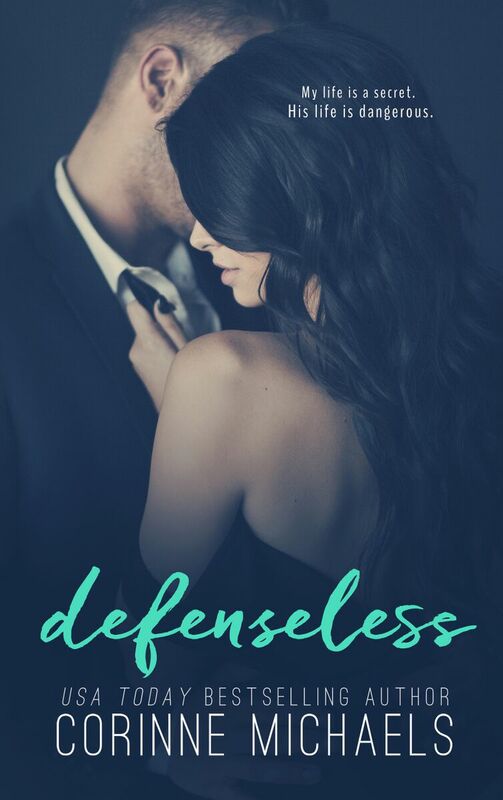 Defenseless is a standalone, but weaves the Belonging books and The Consolation Duet books together. I feel you would enjoy the story more, if you’ve read the other books. That way you understand the dynamics of the relations with the supporting characters.